I am happy to announce that we have two new members added to the Michael and Dessa Rodeffer family. 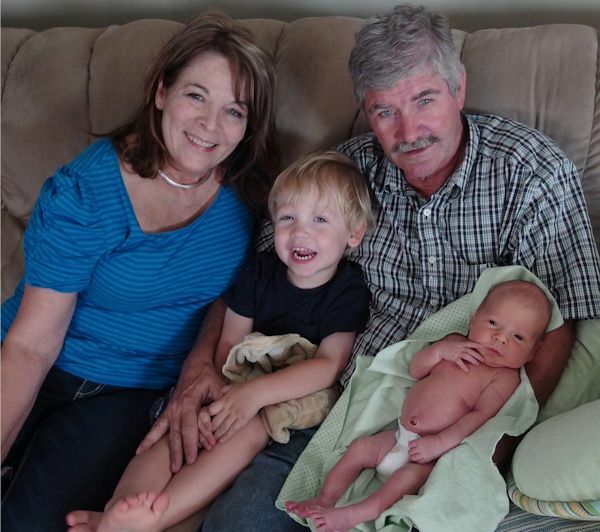 Elijah Daniel Ericson was born on Sunday, July 20, 2014 and is our first great grandson, He was 9 lbs and 21 inches and born to very proud parents- Matthew and Caitlin Ericson of Greeley, Colorado. 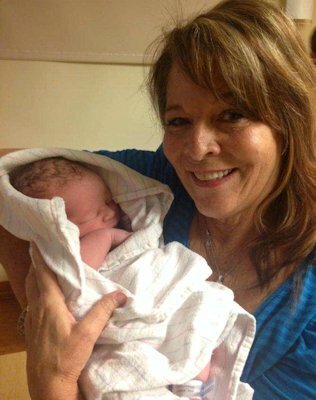 Proud first time grandparents are Dan and Darci (Andrews) Ericson of Eaton, Colorado, and Mike and Jana Salt of San Diego, California. I was able to hold our precious package of delight just 3 hours after he was born but then had to leave to the airport to catch a plane back home to Stronghurst. I was so happy "Elijah Daniel" came in time for me to give my personal blessing and a kiss. Also, Mr. and Mrs. Steve Andrews of Monmouth are great grandparents. Then three days later, on our daughter Tami Postle's 50th birthday, our 22nd grandchild was born in Fort Wayne, Indiana to our youngest son Matthew and Dr. Kathryn (Katie) Rodeffer. Asher Noah Rodeffer came in the evening on Wednesday, July 23rd and weighed in at 7 lbs and 21-1/2 inches long. Maternal grandparents are Mark and Martha Ringenberg of Fort Wayne, IN. Asher was welcomed home by his very excited 2 1/2 year old big brother Elijah Matthew Rodeffer. Grandchildren are such a joy and a blessing. I had to laugh at one of my husband's distant relative's comments about grandchildren on Facebook who also happens to be named Mike Rodeffer. ".it is our reward for not straggling our kids"
"When we use our users manual provided by our manufacturer, life unfolds well, some bumps, but overall life is good when we stay out of the ditches." Michael and I are very blessed with an abundance of loving family.